A seminar on “Career on Logistic and Transport Industry” has been jointly organized by AIUB and CILT on March 29, 2017 at the AIUB Auditorium. The Pro-Vice Chancellor of AIUB, Dr. Charlse C. Villanueva opened the session with his inspiring welcome speech. The key resource person, Captain Mohiuddin Abdul Kadir, was introduced by Ashfaque A. Mohib (Head of Department, Operations and Supply Chain Management, FBA, AIUB). Captain Kadir is fellow of the Chartered Institute of Logistics and Transport, United Kingdom and the CEO of Interport Group. 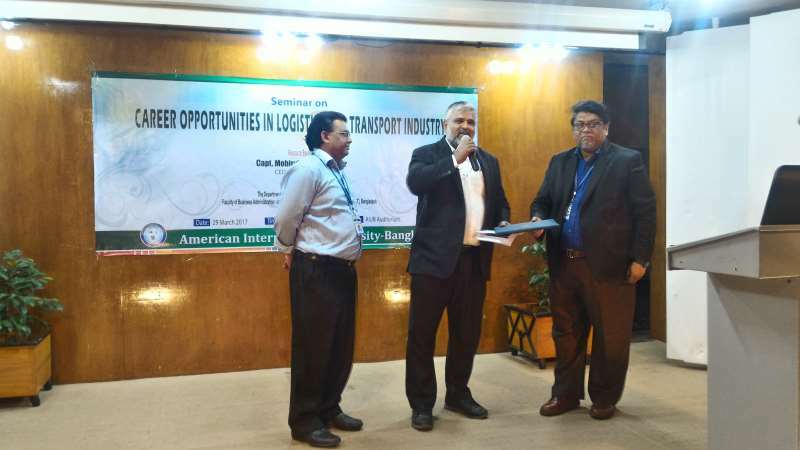 Captain Kabir presented a great career prospective in Logistic and Transport Industry, for graduates majoring in Operations and Supply Chain Management (OSCM), from FBA, AIUB. He also highlighted that the current OSCM course curriculum is very much aligned with the CILT certification program, in such a way that the students of AIUB would get double benefits upon graduation and the certification program. An AIUB graduate would then have an added advantage of starting a great career prospect in this rewarding industry, quite easily. The seminar was also graced by the presence of Prof. Dr. A.B.M. Siddique Hossain (Dean of the Faculty of Engineering), Prof. Dr. Ahmad Neaz (Advisor and Head, MPH Program). Present also in the audience was Capt. 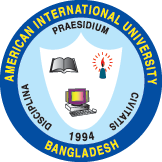 Gias Uddin Ahmed Khan, (Director, Maritime Operations, Interport Maritime Ltd.), faculty members of AIUB, students from BBA programs. The program was concluded with exchange of gifts and souvenirs and a vote of thanks from the Associate Professor Ashfaque A. Mohib.